The E21 Legion is a relatively small community made up of the select few who still value these "forgotten" cars. The massively popular E30 overshadows its smaller, lighter, and simpler older brother, leaving the E21 only to those who are able to wade through the massive following the rest of the 3-series family has. Charlie Scott seems to fit in rather well within what the Legion represents: a group of owners who take pride in their cars and embrace the idea that their E21s, the start to the lineage of the BMW 3-series, are not better than their siblings... just first. When I first met Charlie several years ago, he was driving an E46, lowered as much as he could manage, and under it sat a typical, albeit well-done set of Style 5s. It's a recipe that, in the BMW world, is akin to chocolate chip cookies. It's understandable why it's popular, but it's been done 1000 different ways, time and time again, and it proves a challenge to make such a build stand out. However, in just the past few years, Charlie's tastes have refined substantially. Charlie sold the E46 to get into something a bit older. His tastes had moved away from technology and modern amenities. As he put it, "I wanted a real car... if you know what I mean. I want something that I can drive, not the other way around." As a BMW fan, his sights were initially set on the E24 6-series chassis; however, he stumbled upon this particular 1981 while browsing the haven for cheap, old BMWs: Craigslist. It took no time for Charlie to change his mind about the E24. 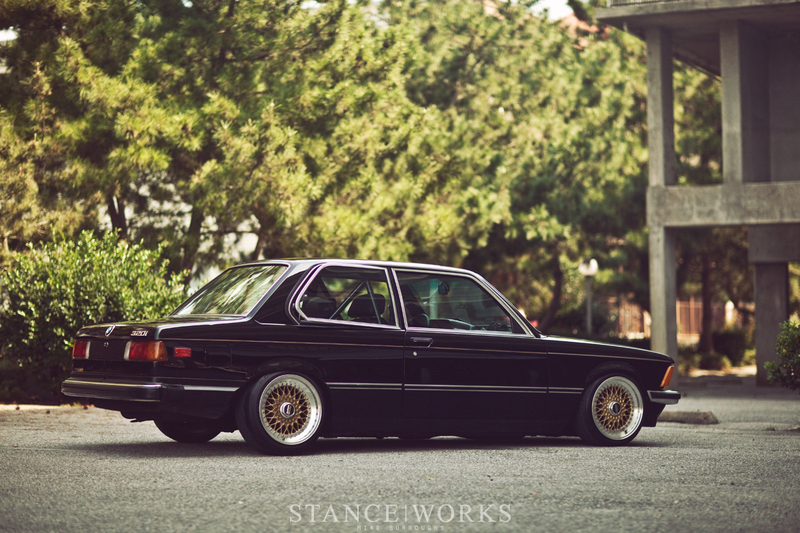 Instead, this one-owner E21 seemed to be the perfect fit. 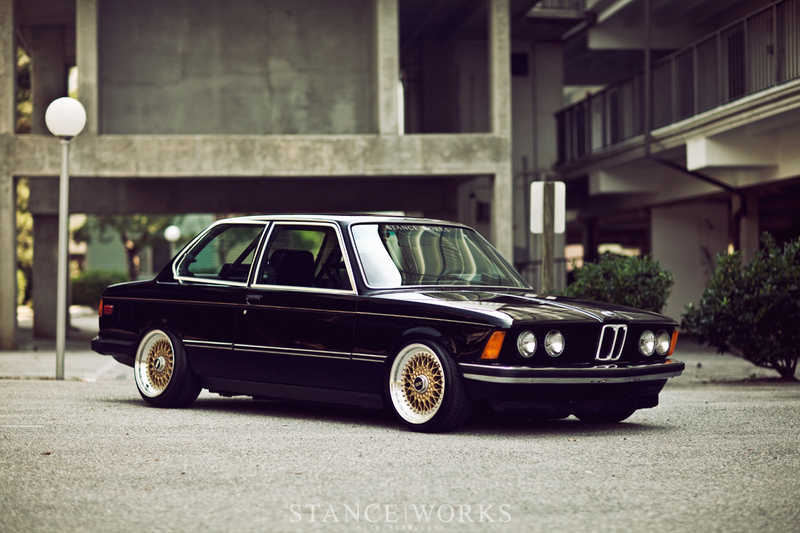 Black paint was a requirement, and this E21's original and near-perfect finish made it a no-brainer. In over-all great condition, Charlie bought the bone-stock car, and within a year, has transformed it in to something a bit more special. 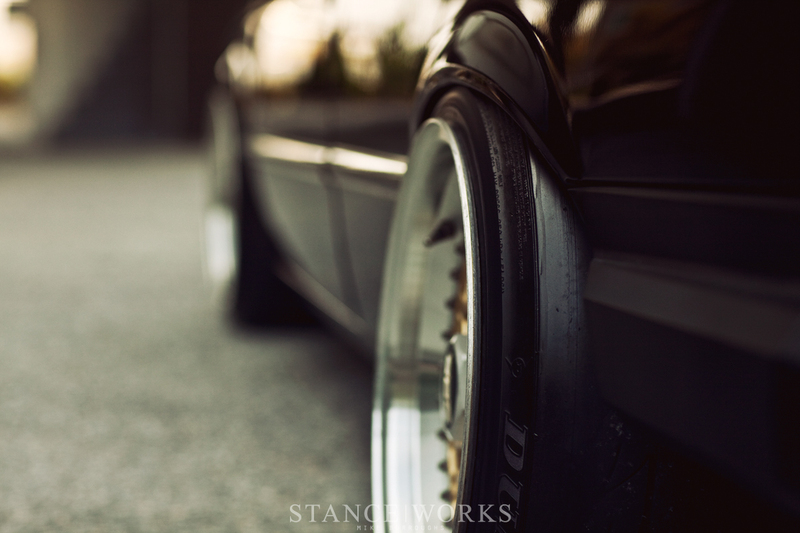 Charlie started by tossing out the 13" stock wheels in favor of some 16x9 and 16x10 BBS RSs, a truly perfect fit. "It's an old bmw with heritage and history. It's a classic, very clean example of early 80s styling." The gold centers play off of the gold pinstripe down the body-line creating a pseudo-John Player Special vibe, embracing the '80s appeal that captured Charlie's attention to begin with. And wrapped in 205/40 Dunlops, the tires also seem fitting for the BMW marque. Not one to shortcut anything, Charlie went for the best suspension he could find, and to do so, went to Nic Foster, the man behind one of the most well-known E21s out there. Nic had been mulling over the idea of air-ride for his own car for quite some time, meaning his tried and true LEDA coilovers would no longer have a home. Charlie leapt at the chance to snag the NLA world-class suspension, and has done a fantastic job of ensuring they continue in solid footsteps. 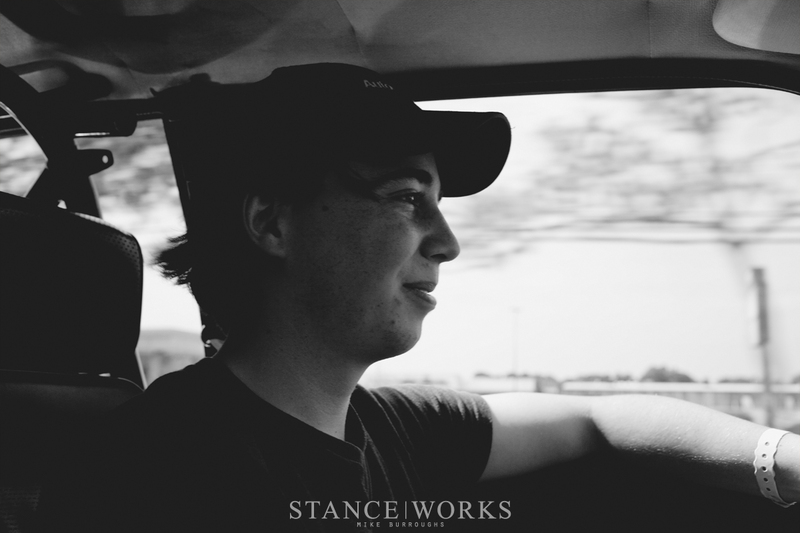 Despite his wheel and tire fitment, Charlie is quite performance-minded; in fact, Charlie works as a race technician, tuning suspension and tire setups trackside on weekends with AutoTechnic Racing team. During the week, he turns wrenches as a mechanic at their shop. Perhaps AutoTechnic is to blame for Charlie's initial craving for a "real" car? 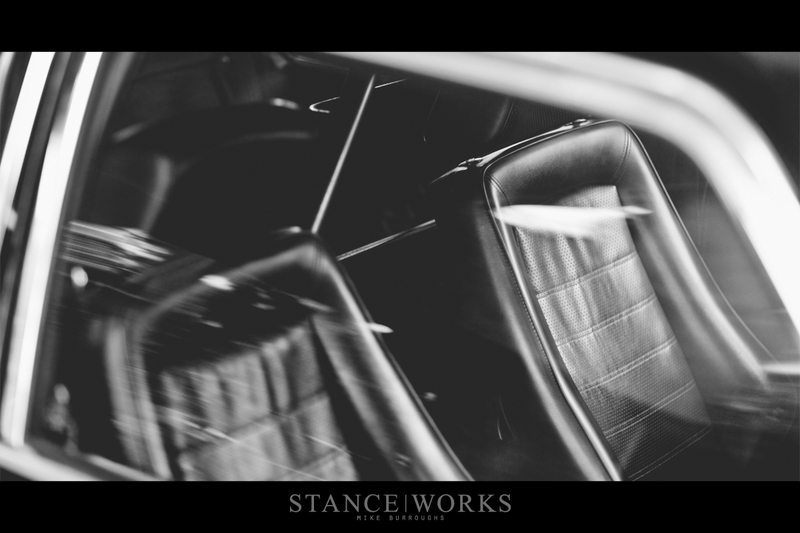 To enhance the driving experience, Charlie swapped out the interior for a set of original black Recaro "iS" sport seats. The back seat was removed and the sheet metal was carpeted over. In the back seat's place is now an E30 Autopower roll bar, modified with the finesse of a "BFH" to fit between the strut towers of the E21. 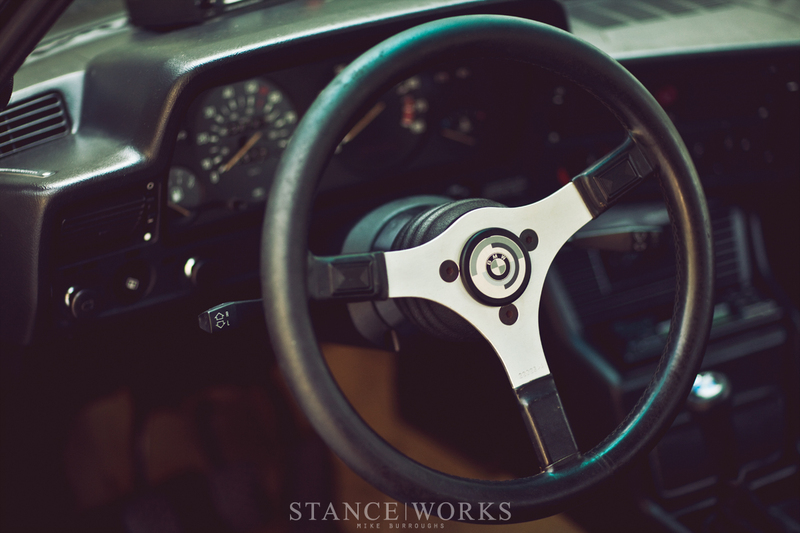 An Italvolanti steering wheel ties together the interior, giving it a spirited and vintage motorsport feel. The exterior of the car has been left mostly untouched. A front euro bumper replaced the horrid original "diving board," and a euro rear bumper and valence is in the works. As for what's next for the car, Charlie doesn't want to say, but it fits in perfectly with his overall vision. 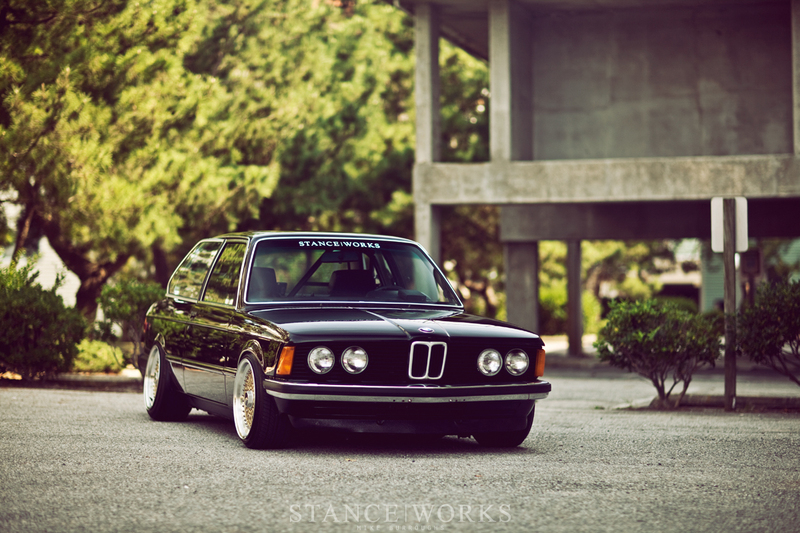 But there's much more to this E21 than just a mod list. "To me, the car is the example of one of my first real projects. Between what I've done already and the future plans for the motor and everything, it's really turning into my first real project car. It's the first car I've owned that I've really felt a connection to." says Charlie. He drives the car every day, and his bond with the machine continues to grow. He's rapidly approaching one quarter of a million miles on the old gal, but there's assuredly many more to come. It'd be a bit obvious of me to say there are few things better in this world than classic, vintage BMWs, but I'll still say there's some truth to it. 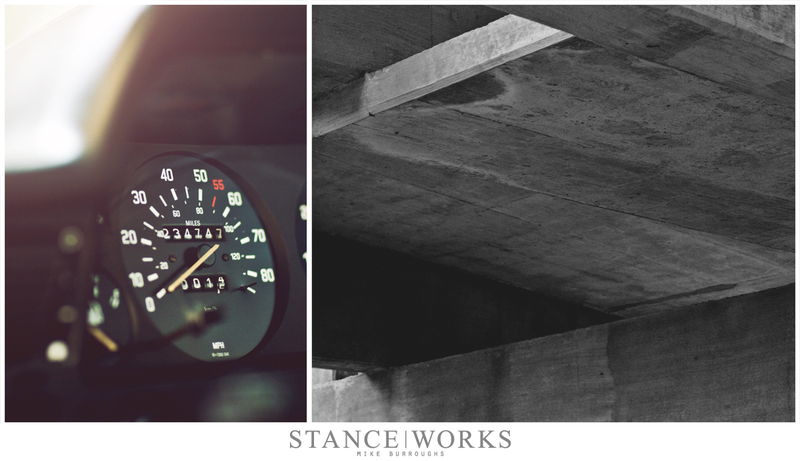 Charlie has recognized that his E21, while empowered by the passion and heritage he gives it, comes with a bit of its own. There's no question that Charlie is doing his part to give some recognition to the "forgotten" chassis of the 3-series line. 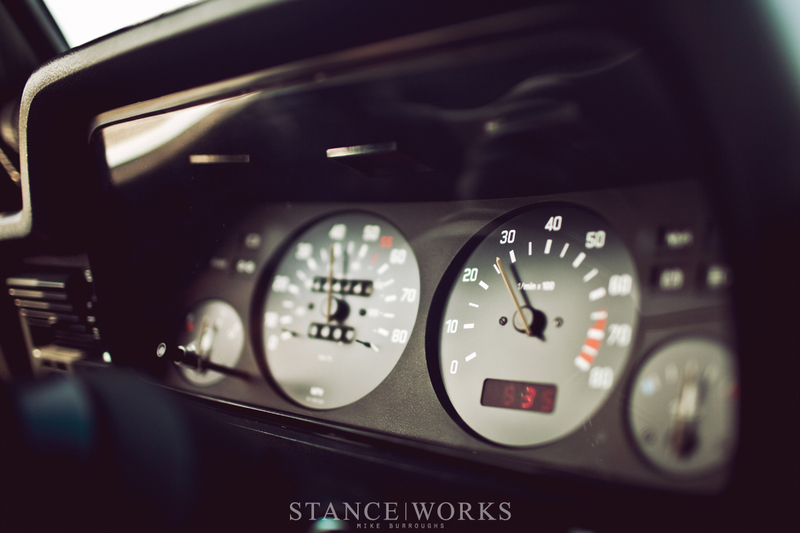 He even leaves us wondering... "Is the E21 really just first? Or perhaps better too?" I love these cars. I am on the hunt for one currently. A real cheep one that I can do my thing to. In the end I hope to end up with a rusty slammington / nice foster and now … Charlie combo.